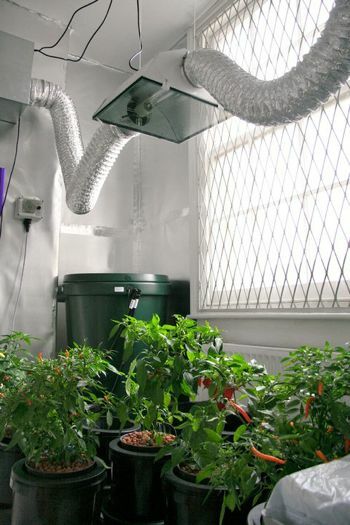 Urban farming is taking a stylish turn in London, as a team of artists, engineers, and sociologists gradually give an average London shop an agricultural makeover–that’s right, a project called Farm:shop is “London’s first urban farming hub” and in the next couple of weeks will be complete with a cafe and aquaponic system with fish, shrimp, and other creatures. The team consists of co-founders Andrew Merritt, Paul Symth, and Sam Henderson, who collectively make up the umbrella group called Something & Son. 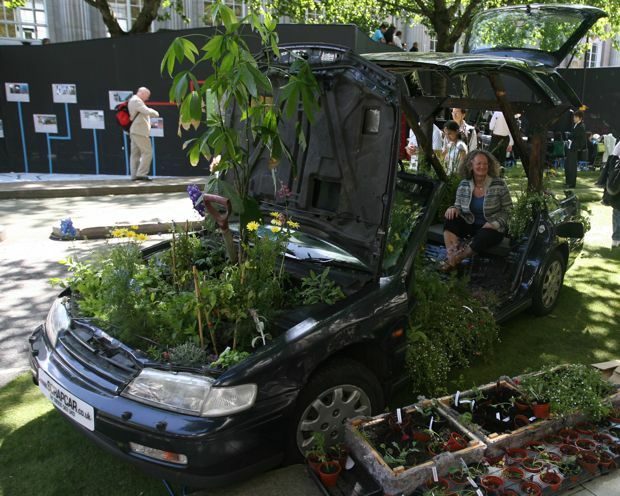 In addition to Farm:shop, Something & Son has worked on sculpture installations with used furniture and plants and they’ve also converted a single car into a park–all of their work focuses on eco-art and integrating aesthetics with function and agriculture, specifically urban agriculture. 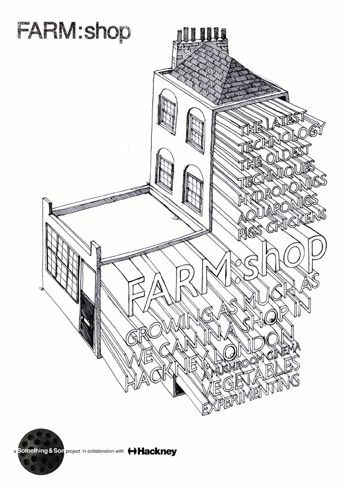 “Using some of the latest technologies alongside the oldest techniques, FARM:shop is an experiment to see how much food can be grown within a four-story building in a typical condensed urban setting,” Merritt tells Fast Company. The shop-turned-farm consists of pigs and chickens, shrimp and fish, mushrooms, and other vegetables, along with a movie viewing area and soon-to-be-complete cafe. The purpose of the cafe is not only to help serve their own produce and the produce of nearby farms, but also to create a financially-sustainable model for FARM:shop, in order to keep up its activities.